Even though Juliette and Christian both grew up in Greenwich, they attended different high schools and did not meet until after college when their best friends introduced them. The pair quickly learned they had a ton in common. Their first date was one of those perfect lazy fall football Sundays in New York City when the rat race seems to slow down for an afternoon. Three and a half years later, while on a walk around Tod’s Point, Christian proposed. Family and friends were waiting back at Juliette’s house to celebrate with the couple over brunch and champagne. Brain Wells officiated at the ceremony at Larchmont Yacht Club, where the reception followed. The bride, daughter of Paul and Hermine Brindak of Old Greenwich, graduated from Greenwich High School and Washington University. Juliette is the cofounder of Miss O & Friends, a website for young girls. 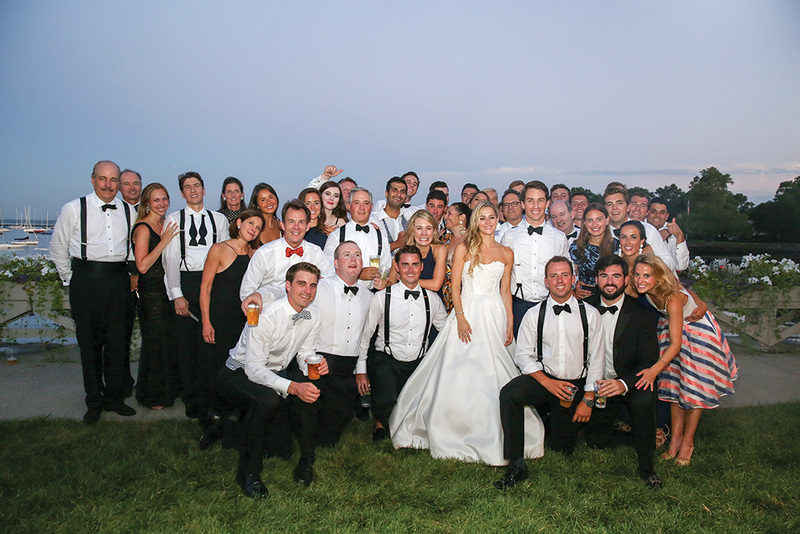 The groom, son of Pat and Krissy Blake of Greenwich, graduated from Brunswick School, Princeton University and is currently studying at the Wharton School at the University of Pennsylvania. The newlyweds honeymooned in Thailand before returning home to Philadelphia.